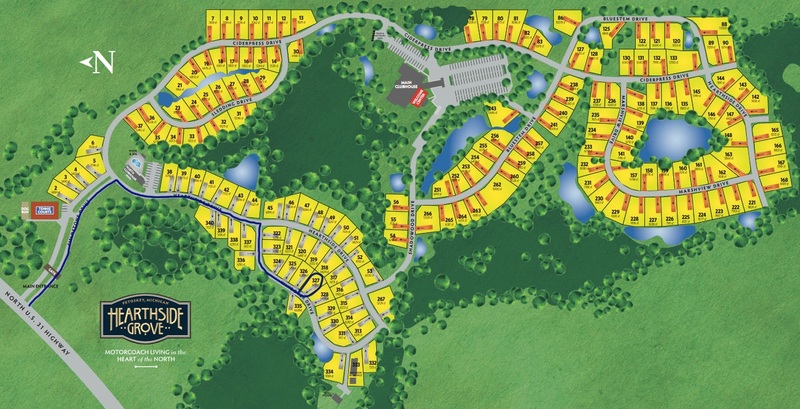 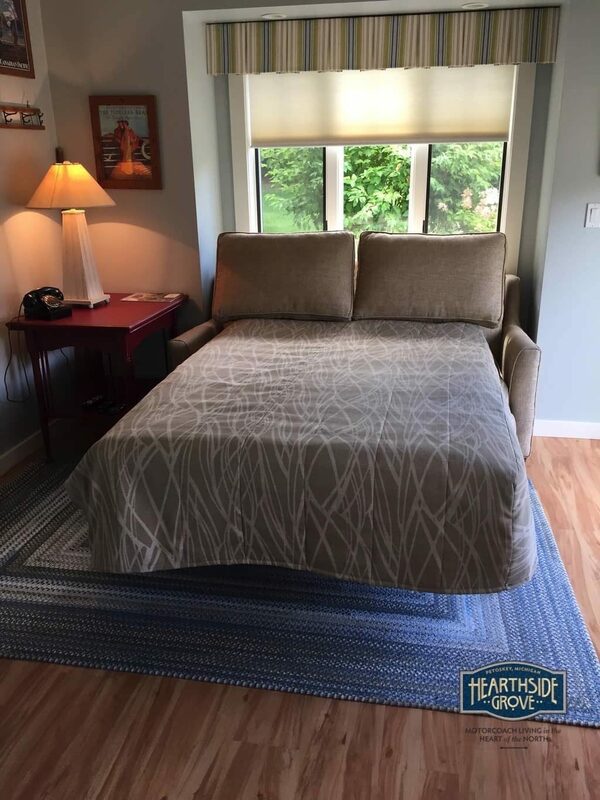 Full Description: From this site in the middle of the Windover Drive bend you will enjoy views across the street and into the woods. 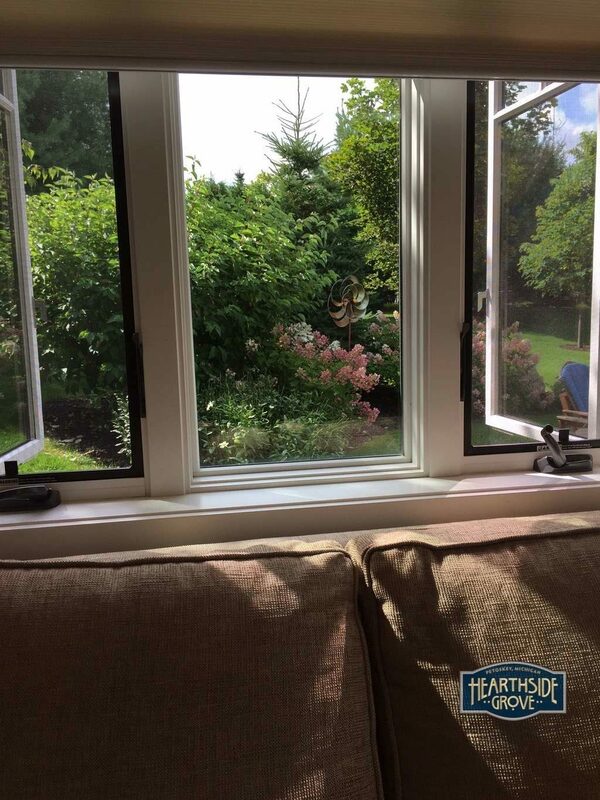 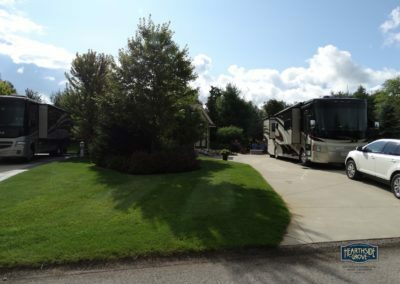 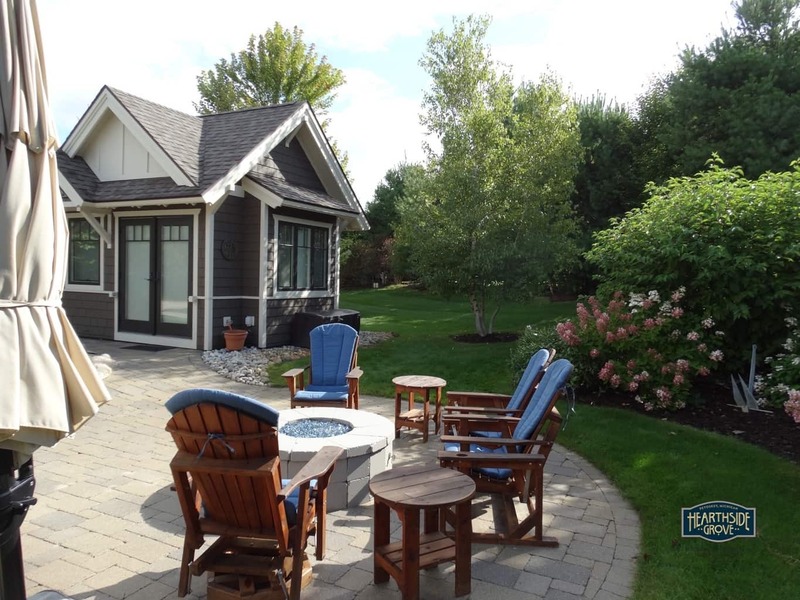 Privacy is provided by the well placed bungalow and the landscaping surrounding the lot. 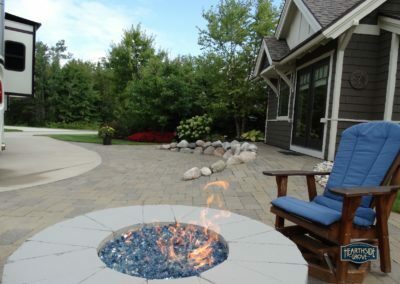 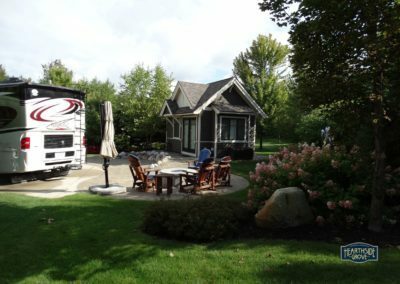 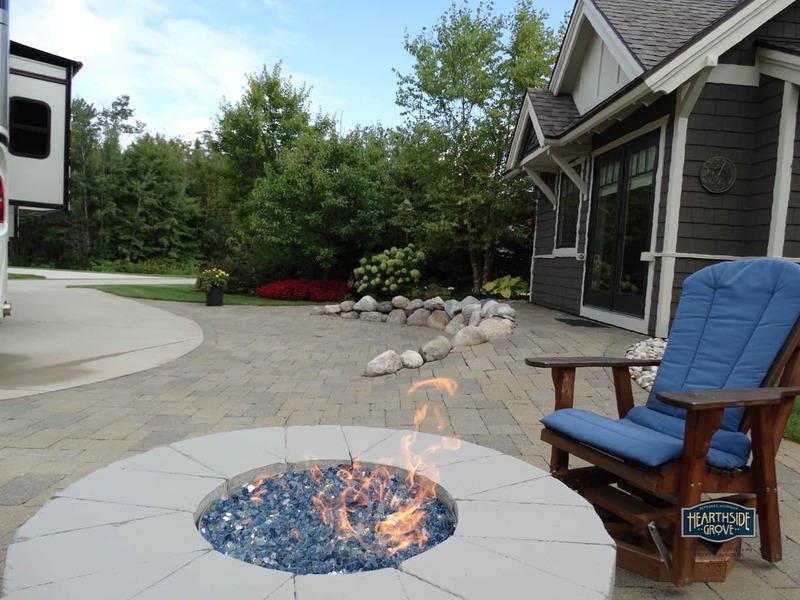 Take advantage of the Northwest-facing living space for your coach, bungalow and patio designed to create the perfect retreat in Northern Michigan’s land of the million-dollar sunsets. 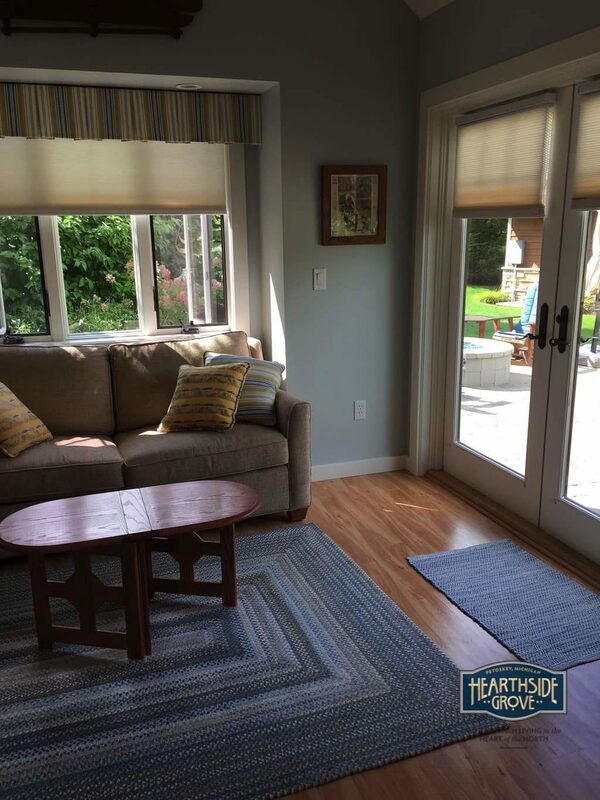 As you approach the french doors of the Gable style bungalow you will notice a gradual ramp in place of steps making the transition into the bungalow very easy. 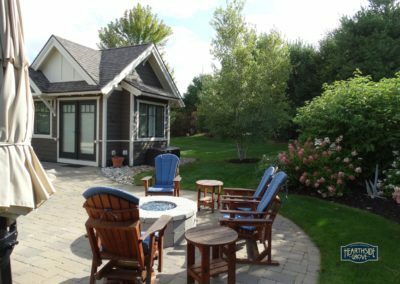 Inside you are greeted to an open floor plan that maximizes the space, complete with engineered floating wood grain flooring throughout. 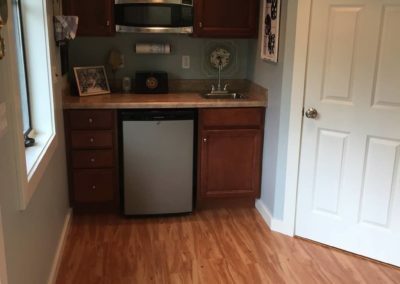 The kitchenette features plenty of cabinetry, mini fridge, stainless steel sink and microwave oven. 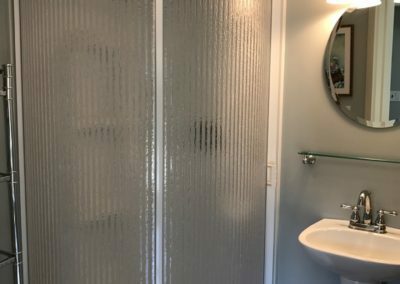 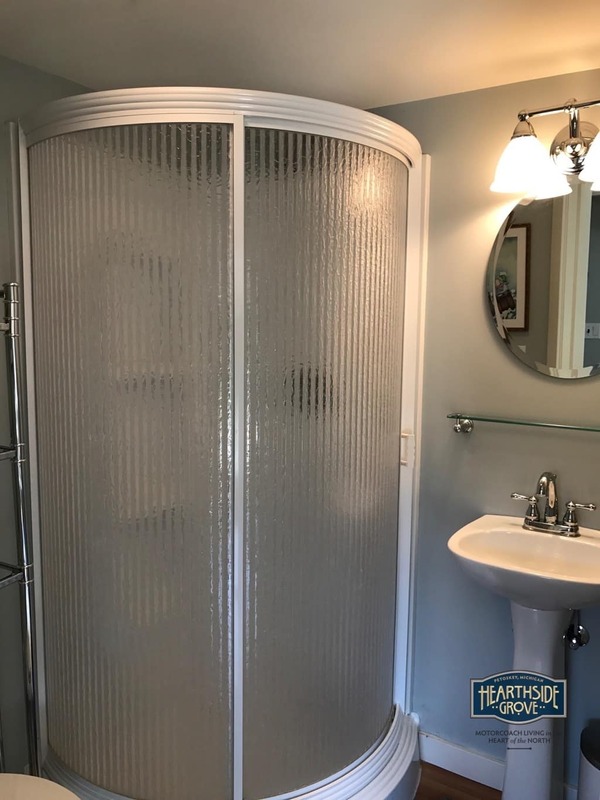 Inside the spacious walk-in bathroom you will find a pedestal sink, mirror and glass shelf, toilet and corner shower stall. 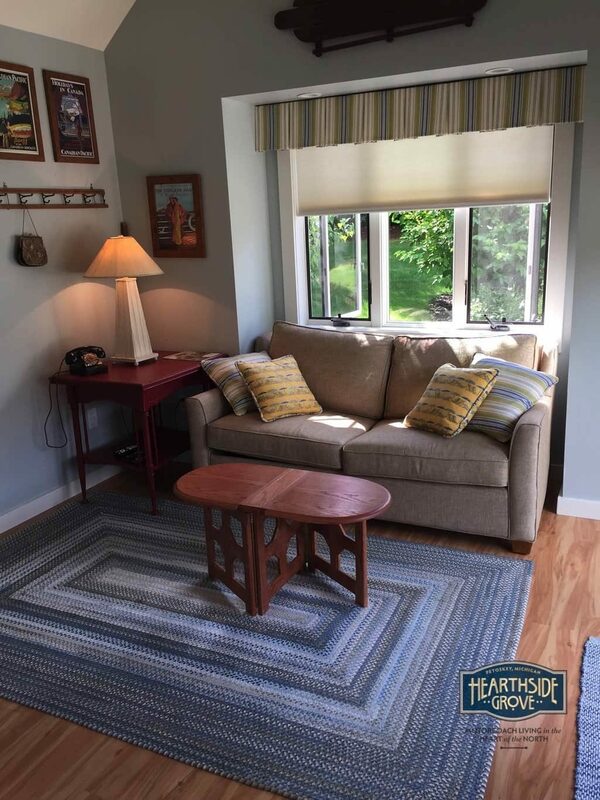 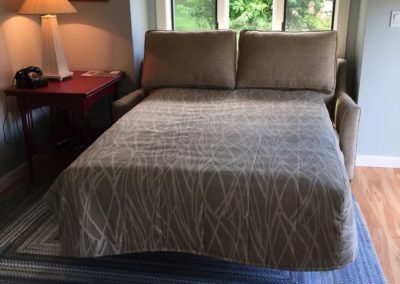 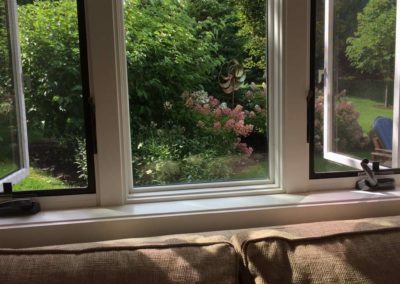 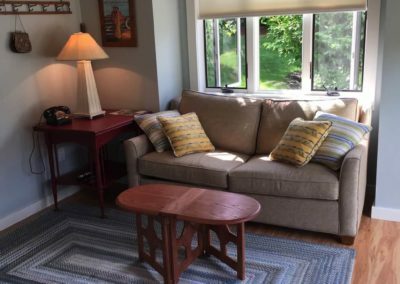 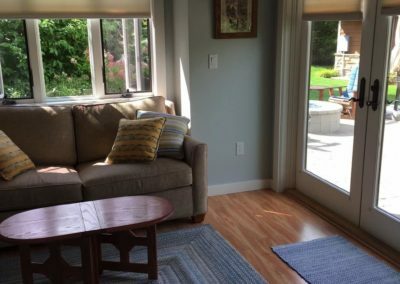 Back in the main room you can enjoy the full size sleeper sofa with air dream mattress, custom window valences and accent pillows from Lake St. Design Studio, accent furniture pieces complimented with a bright interior and a beautiful, peaceful view into the manicured landscaping. 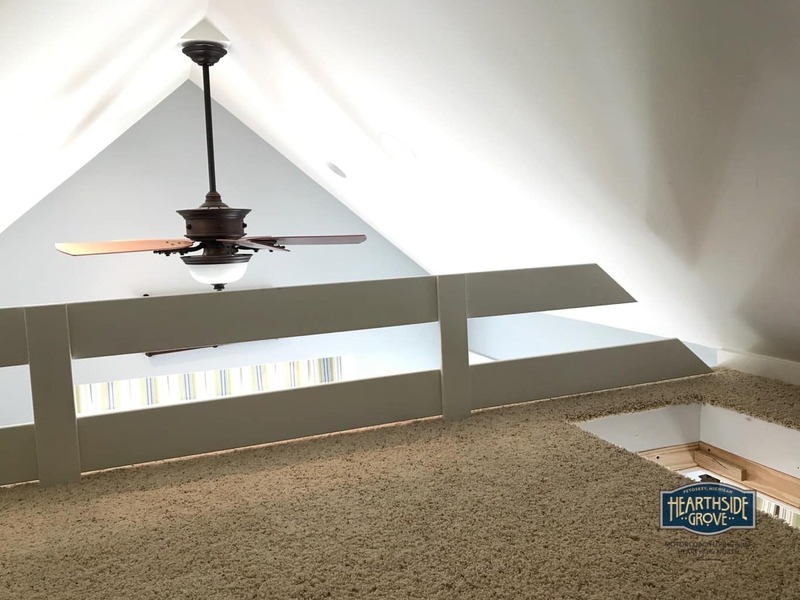 Above you will find a ceiling fan, vaulted ceiling and a carpeted loft great for additional storage and light sleeping. To access the crawl space simply roll over the accent rug and open the hatch. 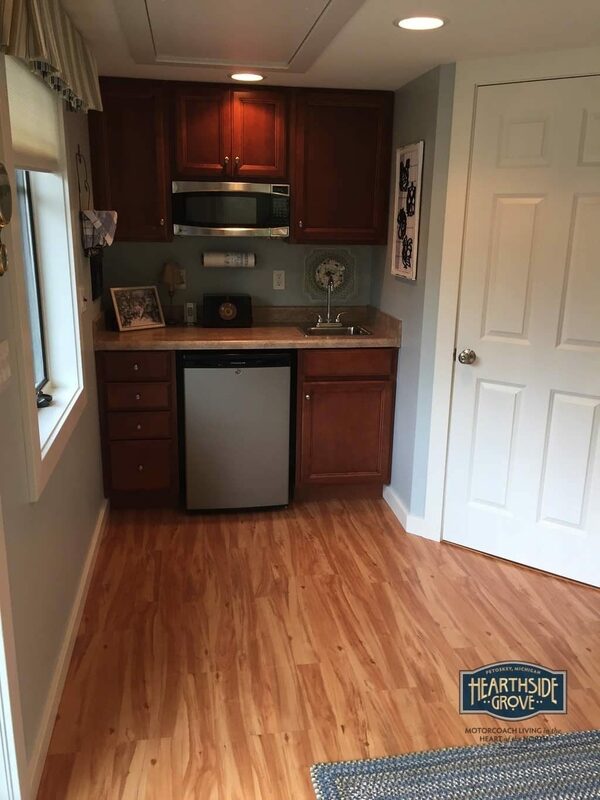 Climb down the sturdy ladder to find the hot water heater and plenty of additional space to store those extra items.